This rosary has large colourful, non toxic acrylic beads. It measures 18 inches. A perfect way to teach a young child to pray the rosary. Makes the perfect "my first rosary" gift. Great for a "new baby" gift or baby baptism. Makes the perfect Baby Baptism gift and remembrance of that special day. 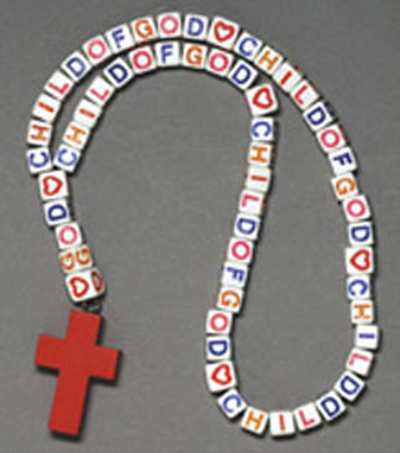 Great for classrooms, children's liturgy, and Baby's first rosary.